The "Nature Boys" 36-year career has left an everlasting impression on the industry he loves and in the hearts of our fans worldwide. Fuels "Leave the Memories Alone" is the perfect summary for the feelings many are dealing with in the wake of Ric Flairs retirement. So perfect, in fact, that after the song appeared on WWE programming as part of an emotional video tribute to Flair, the tunes sales increased by an astounding 1,000 percent in the first week, then an additional 409 percent the second week. This is the second time Fuel and WWE have teamed up and the second song the duo have used off the bands mid-2007 release Angels and Devils, which is in stores now. 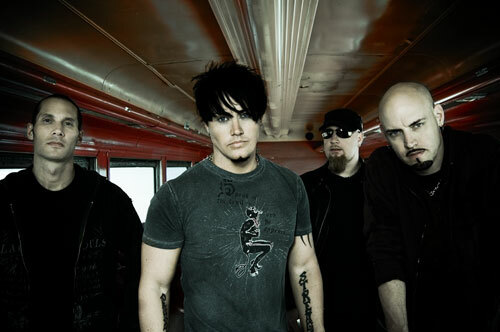 The first collaboration with the bands hit "Gone" was a huge success as the official theme song for 2007s Vengeance: Night of Champions. This latest collaboration has proved to be just as successful, and Fuels guitarist, Carl Bell, could not be more proud of the ultimate outcome. "Its a testament to wrestling fans and their passion toward Ric Flair," Bell told WWE.com. "Its hard to see somebody retire, especially somebody who has been such a big part of wrestling as Ric Flair has been." The songs newfound popularity did not just come from its association with Flair, but also from how it relates to the emotions that Flair has evoked in fans throughout his illustrious career. "Its hard to see somebody that has been an institution in wrestling, as he has been, leave," Bell said. "I think Leave the Memories Alone kind of encapsulates some of those sentiments toward that. Hell never change and he is what he was. Hes been a big part of wrestling and a part of their lives, Im sure." The band is now in talks with Sony about releasing the song as the albums next single due to the resurgence in sales. Bell believes that if that deal is reached, WWE, Ric Flair and our WWE fans across the globe are to thank. In his 36 years in sports-entertainment, 2008 WWE Hall of Fame Inductee Ric Flair has done so much for so many people and, even in his retirement, is able to give back to the fans, including Bell and the rest of the members of Fuel. In return, Bell can only appropriately thank Flair and the WWE fans one way: "Wooooooooo!"